Located in the heart of Port of Spain, this luxury resort is 0.6 mi (1 km) from Ariapita Avenue and within 3 mi (5 km) of Movietowne and Queen's Park Oval. Emperor Valley Zoo and Royal Botanical Gardens are also within 3 mi (5 km). 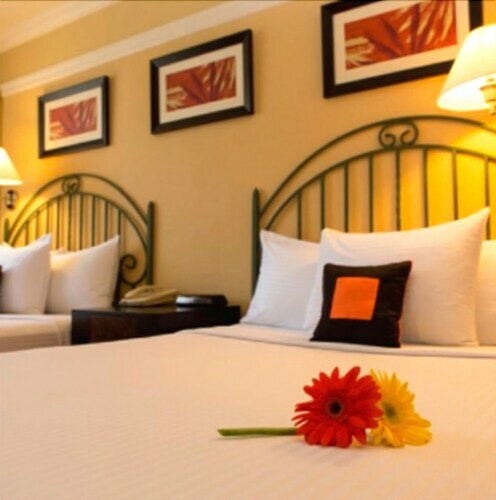 Located in the heart of Port of Spain, this resort is within a 15-minute walk of Queen's Hall and Queen's Park Savanah. President's House and Royal Botanical Gardens are also within 1 mi (2 km). Situated near the airport, this hotel is 1.5 mi (2.5 km) from Millenium Golf Club and 1.9 mi (3.1 km) from Trincity Mall. Eco Park and Cleaver Woods Park are also within 6 mi (10 km). Situated in the historical district, this resort is within a 10-minute walk of Ellerslie Plaza, Emperor Valley Zoo, and Royal Botanical Gardens. President's House and Queen's Park Oval are also within 15 minutes. How Much is a Hotel Room in Blanchisseuse? Hotels in Blanchisseuse start at $69 per night. Prices and availability subject to change. Additional terms may apply. Visitors to Trinidad can choose from 9 hotels and apartments within a convenient drive of Blanchisseuse, however unfortunately there aren't any in Blanchisseuse itself. 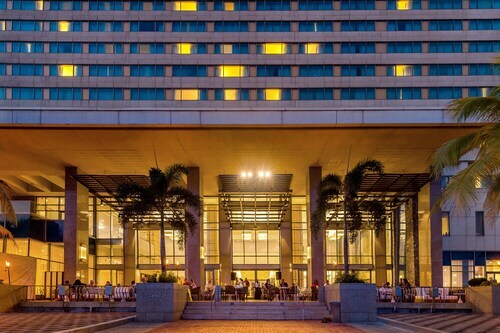 The Hyatt Regency Trinidad, Trinidad and Tobago, which is the nearest Travelocity-listed accommodation, is positioned 17 miles (27 kilometers) from the heart of downtown Blanchisseuse. A secondary close Travelocity-listed option is the Courtyard by Marriott Port Of Spain, which is in Trinidad and Tobago, 17 miles (28 kilometers) from Blanchisseuse. The Hilton Trinidad & Conference is situated 15 miles (25 kilometers) from the middle of Blanchisseuse. Or, alternatively, the Holiday Inn Express Hotel & Suites Trincity Trinidad Airport is 12 miles (19 kilometers) away. The Kapok Hotel as well as the Radisson Hotel Trinidad are other alternative accommodation options worth looking into around Blanchisseuse. 14 miles (23 kilometers) away from Blanchisseuse, you can find Port of Spain, which is where you'll find University of the West Indies and Movietowne. A few Travelocity-recommended Port of Spain hotels include the The Carlton Savannah and L'Orchidée Boutique Hotel. 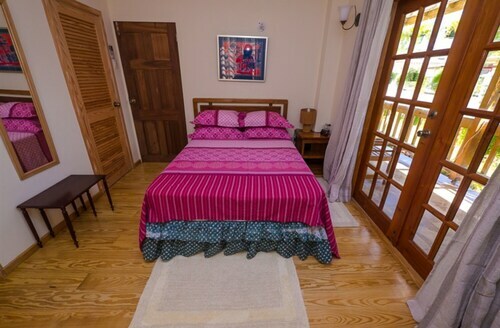 Alternatively, you could stay in Piarco, 13 miles (21 kilometers) south of Blanchisseuse, where you can choose between the Regent Star Hotel and Piarco Village Suites. If you're staying in Piarco, a couple of sights worth adding to your itinerary are the Eco Park and The Rhythm of Our People. 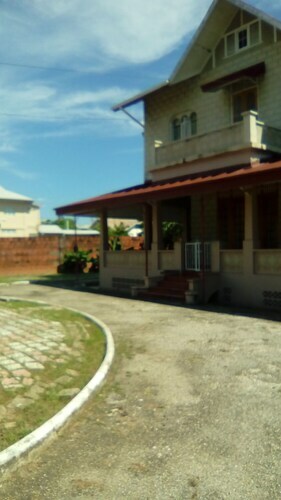 Get your serving of sport with a pilgrimage to Queen's Park Oval, situated 16 miles (26 kilometers) to the southwest of Blanchisseuse. Enlightened travelers hoping to find accommodation options in the area surrounding the game can look at the D'Lime Inn and Conference Center or the Inn at 87. Piarco International Airport is situated 13 miles (21 kilometers) outside Blanchisseuse's central precinct. 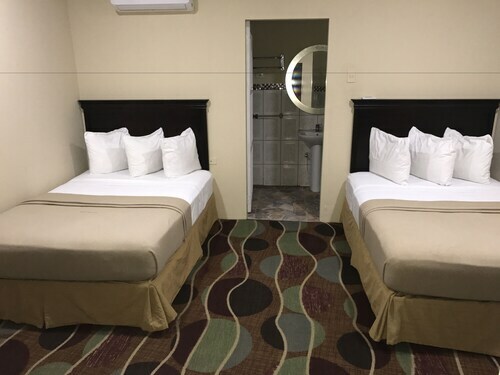 Should you want to find a hotel nearby can easily book a night via Travelocity at the Airport Inn Ltd. or Airport Suites Hotel. Great stay. Quiet, homey and a lovely, rich breakfast. They did not keep the reservation. They did not care that it was midnight and I had no place to stay. Great experience. Friendly and professional staff.....from checkin to checkout. Exceptionally courteous,and friendly staff. Housekeeping services left nothing to be desired. Facility well maintained. The staff was so friendly I wish I could have stayed longer as a guest. The Breakfast menu included a tempting array of local foods which the other guests and I enjoyed. Stacy was exceptional. Her professional manner, amd warm greeting every morning made breakfast a delightful experience. I would definitely recomend this Holiday Inn Express Hotel to my friends and family . Nice hotel, close to the airport. Very friendly and accommodating staff.